At a very young age, my parents taught me that sports and exercise were the key to a healthy lifestyle. Therefore, I tried many different sports when I was a little girl: figure skating, jazz ballet, cross country skiing, downhill skiing, swimming, soccer and tennis. As long as I was active, I was happy. At 10 years old, I decided to join the Hearst Phoenix Swim Team with my sister. Soon after, my little brother and little sister followed our steps. Every morning of the week, the four of us were all up at 5am, ready to jump in the pool! 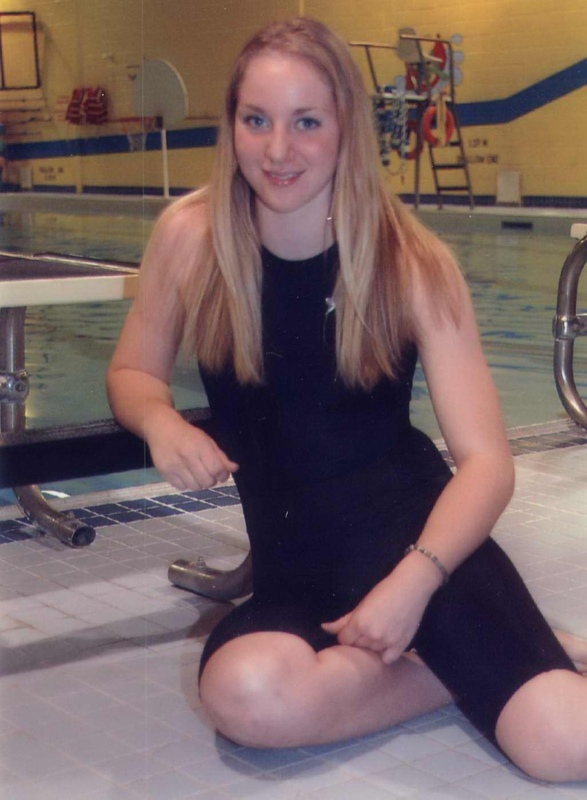 I swam and competed with the team for 8 years, until grade 12. I then moved to Ottawa to pursue my studies at the University of Ottawa. During my first year, I was living on the campus, just beside the canal. This is where I developed a passion for running. I ran almost everyday. It was my stress relief, my happiness booster and the perfect way to stay fit. Like everyone else, I started with short runs (3-4km) then gradually increased my mileage (10-15km). It’s only during my last year of university, that I finally decided to sign up for my first running race (the Ottawa Race Weekend 10km) and my first triathlon (the Early Bird Sprint Triathlon), and that was it. I was hooked! In 2010, I moved to Newcastle, Australia to do my Master of Teaching. I immediately joined the TriNova Triathlon Squad which I trained and raced with for two years. I had excellent coaches (thanks a million for everything Rod and Ben!) and I developed great friendships with the athletes. My schedule consisted of eating, sleeping, training and studying (and ok, a little bit of partying!). During my two years down under, I participated in many races (my first half marathon was in beautiful Sydney!) and completed numerous triathlons, included my first half Ironman (1.9km swim, 90km bike, 21km run) on the sunny Gold Coast! I can say that I made the most of it while I was there! I came back home in 2012, fit as ever, looking to improve myself even more. 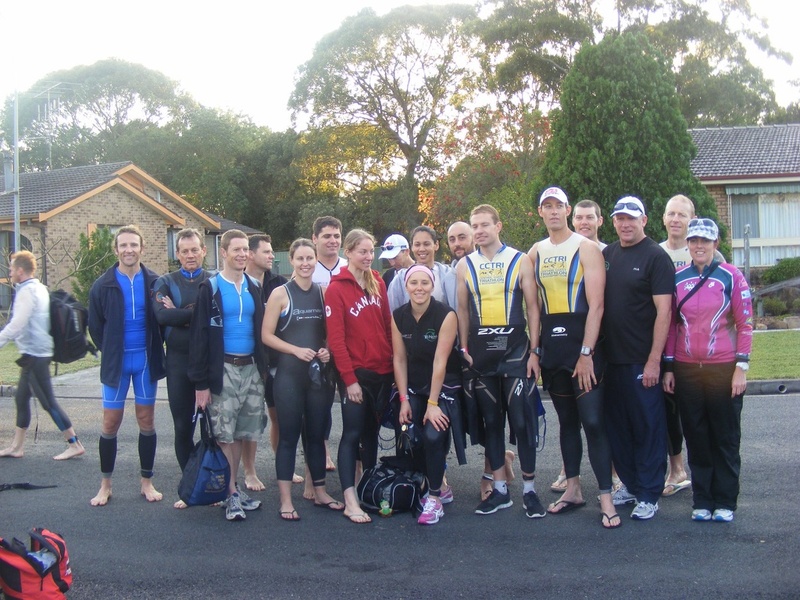 I join the Zone3Sports Triathlon Club where I was coached by The Great Rick Hellard. His guidance combined with hard work, brought me to the 70.3 (half Ironman) World Championships in Las Vegas in September 2013. To my great surprise, I finished 3rd in my age group (25-29 years old)! This is when I decided that I wanted to step it up a notch. I wanted to do my first full Ironman (3.8km swim, 180km bike,42km run)! 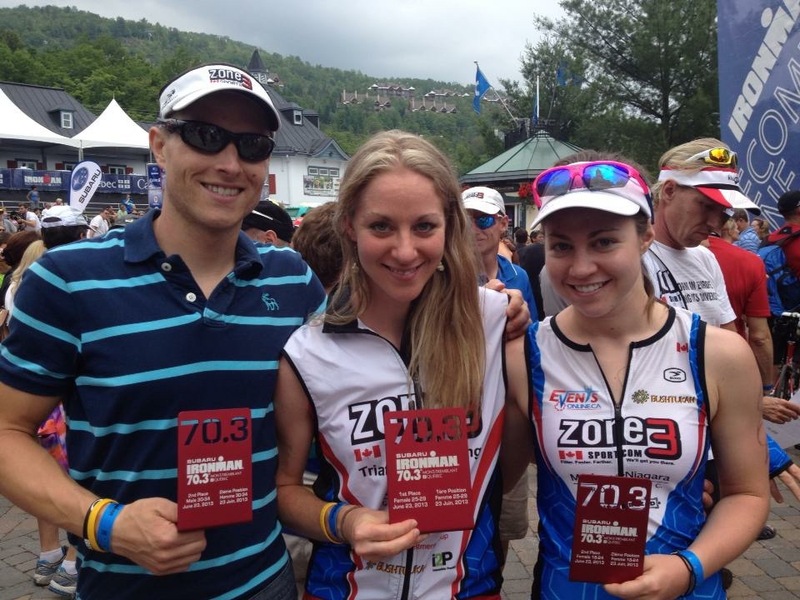 Ironman 70.3 Mont-Tremblant. We all qualified for the World Championships! 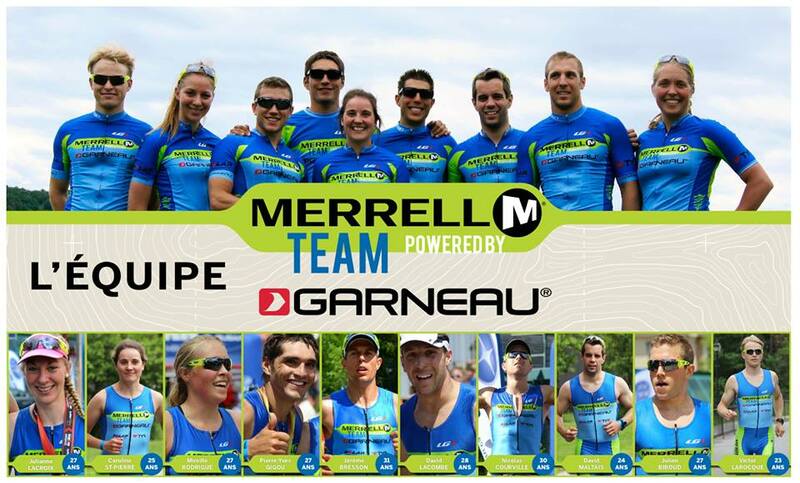 Last year, I had the chance to join the Équipe Merrell supportée par Louis Garneau. The team is formed of long-distance triathletes from Québec and Ontario and is supported by great sports equipment companies. Wow, I was getting sponsored! I felt like superstar! 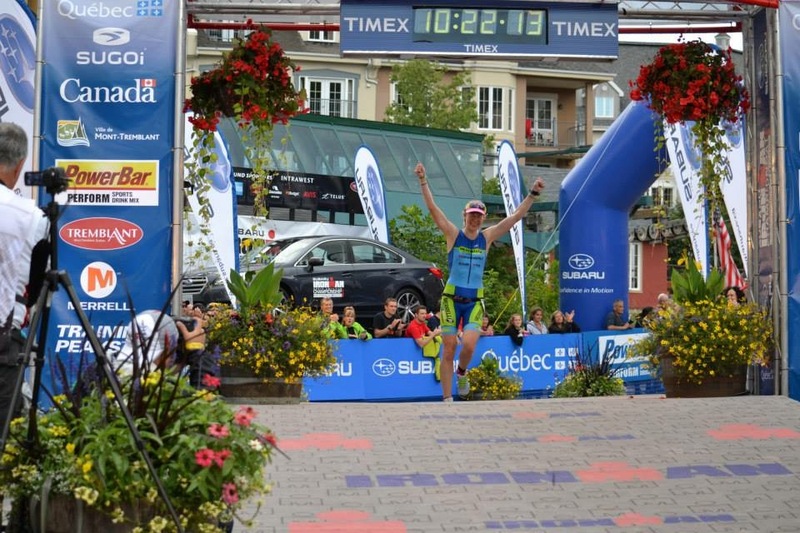 My whole season was focused on Ironman Tremblant which was in August. My new coach, Philippe Bertrand from Lifesports, and I had the secret dream of qualifying for World Championship in Kona, Hawaii. From January to August, I swam three times a week, biked way too many km’s and ran like never before. I was motivated and dedicated as ever. 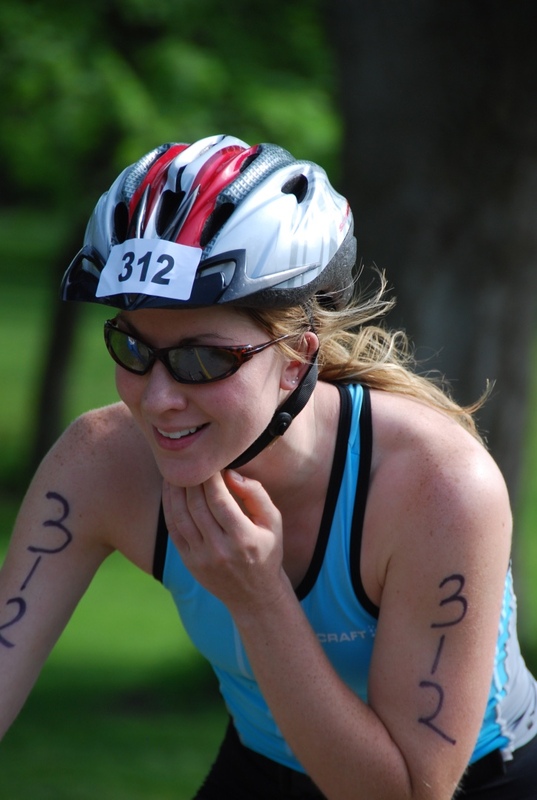 Triathlon was not only my passion, it was my lifestyle. On the 18th of August, I not only completed my first Ironman, but I even finished first female amateur! I couldn’t believe it, I had my ticket to Kona! In October, I had the immense chance to race the world’s most famous triathlon. It was by far, the most challenging race I did: salty choppy ocean water, incredible winds on the bike, heat and humidity on the run. Nevertheless, I finished with a big smile on my face, 7th in my age group. I couldn’t ask for a better way to sum up my 2014 season. A huge thank you to all our amazing sponsors who made this possible: Merrell, Louis Garneau, TYR, Polar and Compressport. Merci du fond du coeur! Proudly finishing my first Ironman! All the best. I wish you success in the challenge. You are welcome to The Gambia.